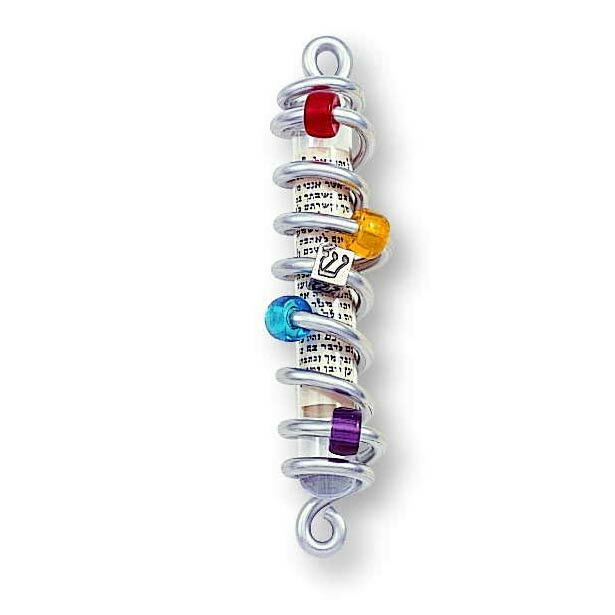 Simple 4" Beaded Aluminum Wire Mezuzah Decorated With Wire Spirals, Colored Beads And A Shin Bead. 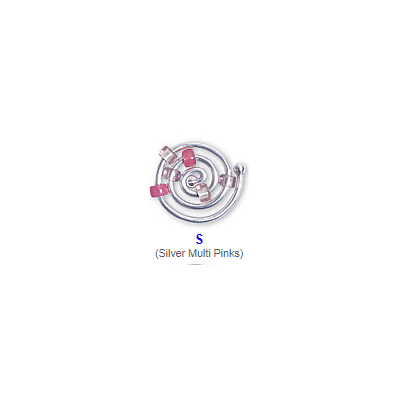 At Certain Times This Specific Item May Be Out Of Stock In The Color Selected. This Is Not Indicated On Our Website. When Out Of Stock, The Plate Will Be Shipped Directly From The Artist's Studio In Approximately 2 Weeks.